Hansgrohe SE is one of the leading manufacturers of fittings and showers worldwide. The company's products are characterised by quality, functionality and design. The production of the varied product designs requires a high degree of flexibility. Whilst in 1995, the company based in Schiltach produced 60 different varieties of fittings, the range now comprises 250 different ones. 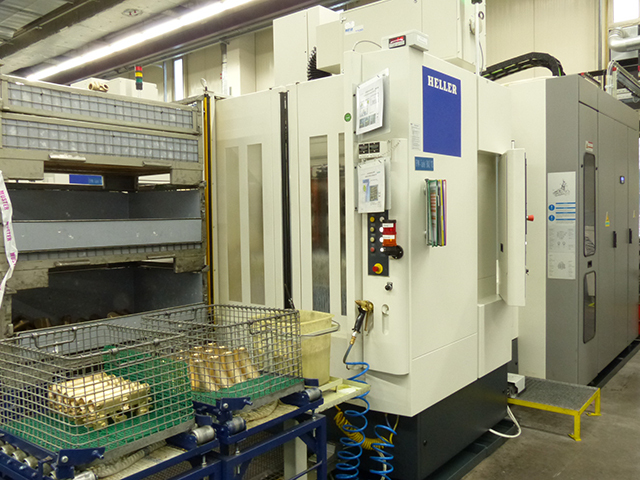 To machine this broad spectrum, the company uses 13 machining centres, among them 11 HELLER machines. The 6 machining centres from the H series are particularly well-suited for the tasks at hand. One of 6 model H 2000 machining centres. 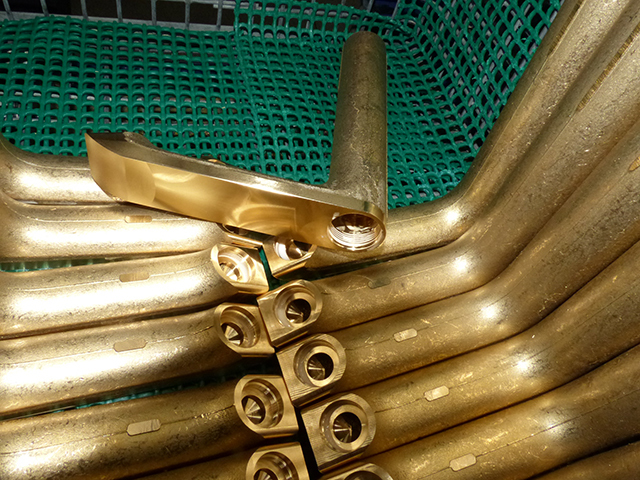 Fittings during electroplating: batch sizes vary between 100 and 1,500 pieces but with a massive increase in part variety in recent years.